Gu Kailai, the wife of disgraced Chinese politician Bo Xilai, will stand trial on charges related to the murder of British businessman Neil Heywood. 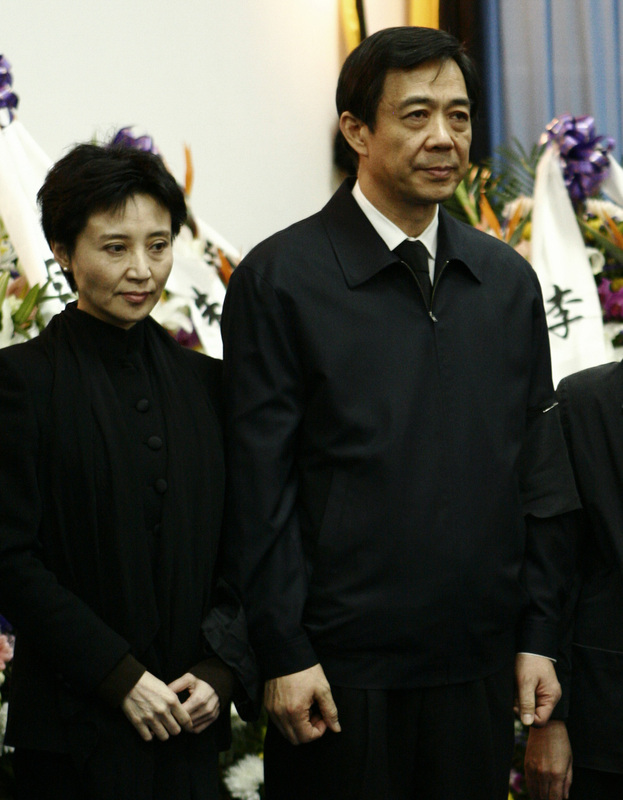 Here, the couple is shown in 2007 attending Bo's father's funeral. One of China's biggest criminal trials opens Thursday, and its lurid details make for a sort-of Communist Party film noir. The wife of an ambitious Chinese politician is accused of murdering a British businessman. Her powerful husband allegedly blocks the police investigation, and the police chief, fearing for his life, takes refuge in a U.S. consulate and implicates the wife in the killing. The accused is Gu Kailai, the wife of the fallen Communist Party leader Bo Xilai. The government says she poisoned a British businessman and family confidant named Neil Heywood last November. The case involves much more than murder, though — it's complicated by privilege, allegations of public corruption, and palace intrigue. Gao Wenqian, a former Communist Party historian and now a senior policy adviser with Human Rights in China, sums it up this way: "Obviously this case is completely different than a common criminal homicide case. This is basically a political case." That's because the figure looming over it all is the accused's husband, Bo Xilai. The son of a Communist Party revolutionary leader, Bo in recent years led a Cultural Revolution-style campaign in China's biggest city, Chongqing. He encouraged people to sing Maoist songs, and reminiscent of past communist purges, he jailed and confiscated the fortunes of local business people he labeled "mafia." Bo was running hard this year for a spot on the Standing Committee of the Politburo, the party's ruling body. "Most members of the Politburo saw Bo Xilai as a threat," says Ding Xueling, a political sociologist at Hong Kong University of Science and Technology. Bo was hoping to take over the security or propaganda arms of the party, Ding says, but other leaders feared he would use the branches' powers against them. 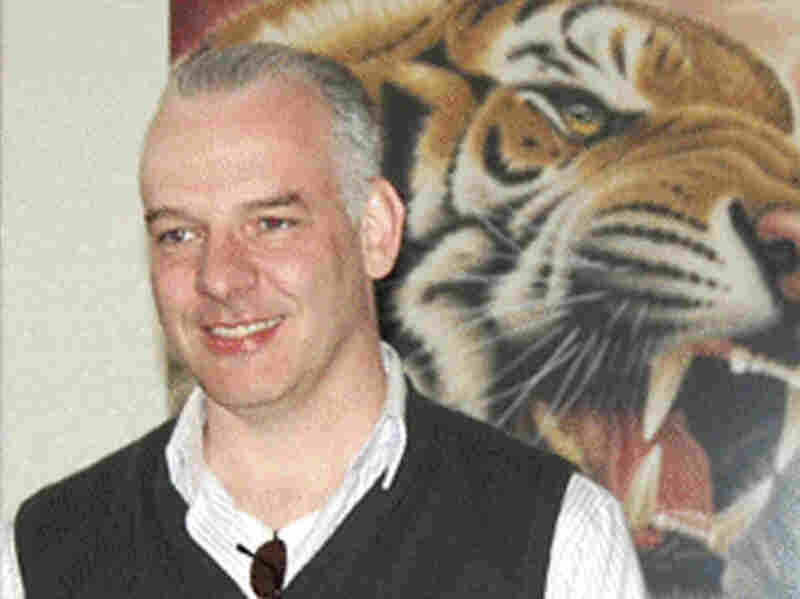 British businessman Neil Heywood, seen here at a gallery in Beijing last April, was found dead in his Chongqing hotel on Nov. 15, 2011. Heywood had ties to Bo Xilai's family, helping organize the education of son Bo Guagua, who studied at the exclusive British boarding schools Papplewick and Harrow. "Either position would give him enormous resources to defeat people," Ding says. "You can order people to collect blackmail data against your potential rivals. It's very much similar to the KGB in the former Soviet Union." So when Chongqing police chief Wang Lijun showed up at a U.S. Consulate in February and implicated Bo's wife in a murder, his opponents had what they needed. Bo remains in detention while the party decides his fate. His wife, Gu Kailai, is accused of poisoning Heywood in a Chongqing hotel with the help of her butler. By some accounts, Heywood was helping Bo Xilai's family secretly transfer money overseas and got into a dispute with Gu over payments. Chinese state media say Heywood then threatened their son, Bo Guagua, whom Heywood had earlier helped get into an exclusive British prep school. "This case itself makes the Communist Party lose a lot of face," says Jin Zhong, the editor of Open, a political magazine in Hong Kong. "They will now use the trial to minimize the very negative impact on the party. They want to show this is done in an open and transparent manner." So far, there's not much sign of transparency. Gu has been barred from using her own lawyers and is being forced to use local, court-appointed ones. The government's New China News Service has all but convicted her, writing, "the evidence is irrefutable and substantial." Jerome Cohen, a law professor at New York University who has followed China's legal system for decades, says there is no way yet of knowing whether that is true. "They haven't shown any evidence. The government has made allegations," he says. Cohen says Chinese trials bear no resemblance to those in the U.S. For instance, defendants have no right to cross-examine witnesses, and judges decide cases on the instruction of political leaders. Cohen says Gu's trial — which will take place in central China's Anhui province — could be better. But a more open case carries risks. "The defendants might shout out something that they really believe in. The party is obsessed with control. Stability means the silence of anyone who might challenge party control," he says. It so happens that Gu is a lawyer herself. Years ago, she wrote that the Chinese legal system was better than the American one because it was more efficient. "It doesn't mince words," she wrote. Very soon, she may feel differently.